The excruciating pain of travelling to work every morning is something we can all identify with. Today’s Lifehack discusses one of the main woes in Singapore - Transportation. Specifically, this targets readers who own a car/drive to work. Yes, driving to work can be a pain. We know this because Singapore has one of the highest ratios of vehicles per kilometer of road at 281, significantly higher than the UK (77), Japan (63), and the US (38). We actually think it is hilarious that radio stations report on traffic conditions every morning because well, all they do is take the expressway abbreviations in Singapore and add “congested” after it. If you drive to work, you will know what we mean. 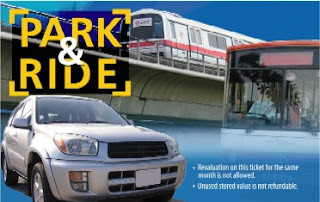 Unknown to many people, the Singapore LTA has a Park and Ride Scheme which was created with the intention to reduce traffic flow in and out of the city area during rush hours. In fact, the scheme was first introduced more than 20 years ago back in 1990! Under the scheme, motorists are allowed to park their vehicles at designated car parks on route to work, and make the rest of the journey into the city on a public bus or train. Now before you start doubting the availability of designated car parks, there are actually more than 40 islandwide. There are two options for the scheme - a monthly fee or ad-hoc parking. 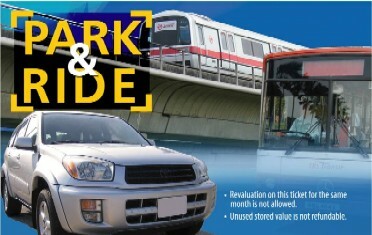 The former is represented by a $70 Park and Ride set which consists of a $30 season parking ticket and a $40 Park and Ride EZ link card, while the latter is a flat $3/day (7am-9pm) parking fee. The math works in your favor with the season pass option. Now, let’s take a look at potential savings through Lifehacksg’s lenses. Assuming that parking in the city costs you $250/month (this may be conservative for some of you), the net savings to you from adopting the Park and Ride scheme works out to be more than $2000 per year! Yes, there is additional effort required to turn into a designated parking lot, park your car, walk back out towards the closest train station and additional time involved, but if you successfully do this together with Lifehacksg#4 , we are looking at sizable annual savings. To put things in perspective, for your additional efforts required to adopt the Park and Ride scheme, you will be compensated with a reward equivalent to a round-trip ticket to the US. Talk about a free holiday.